to be of good repute. enlightenment i.e. to make good men better. spiritual building, that house not made with hands, eternal in the Heavens." which all adds to the enjoyment. masonic fact from media fiction. Freemasonry doesn't make you any of those people. 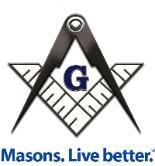 don't have to be a Freemason to give money to worthy causes. wanted to do the things he did and they did it by the millions. other people admire. Someone will notice. expressly forbid the discussion of either religion or politics. works, both by charitable giving and by voluntary efforts and works. family, one's country, or one's God. the Michigan Grand Lodge website for thorough and considered responses.